Through the centenary of the First World War, an extra £2 million is available to support local communities repair and conserve their war memorials. War Memorials Trust has advice and information on how to do this, what is eligible for funding and the time frame for your projects. 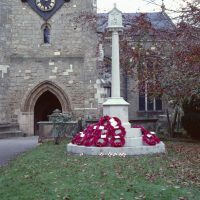 If you believe that your war memorial needs work, contact the DAC and the War Memorials Trust to discuss your scheme.